My first experience of skiing was as a gangly 13-year-old, I struggled. So much so that I didn’t want to put my boots back on the next day! A lot changed between 2007 and now. 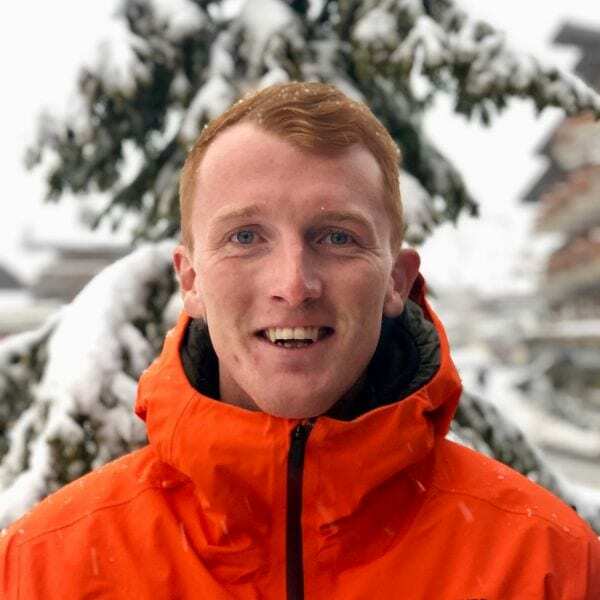 After my first weeks holiday, my love for skiing grew rapidly over the coming years and I’m very lucky that I can now share my passion with many different people in such a beautiful resort as Verbier, where I’ve been teaching since 2015. When I’m not skiing, a lot of my weekends throughout the summer are taken up playing cricket, hockey, and golf or anything to keep active. I enjoy teaching all aspects of skiing, whether it’s your first time on snow, learning to carve or just exploring areas you may not venture to if you were on your own I’m sure we’ll have a great time. Remember to relax, you’re on holiday. You’ll get much more out of the experience if you are at ease. Enjoy the views! Fancy a private lesson with Hugh on your next holiday?